Lovely dress from IDA SJÖSTEDT. 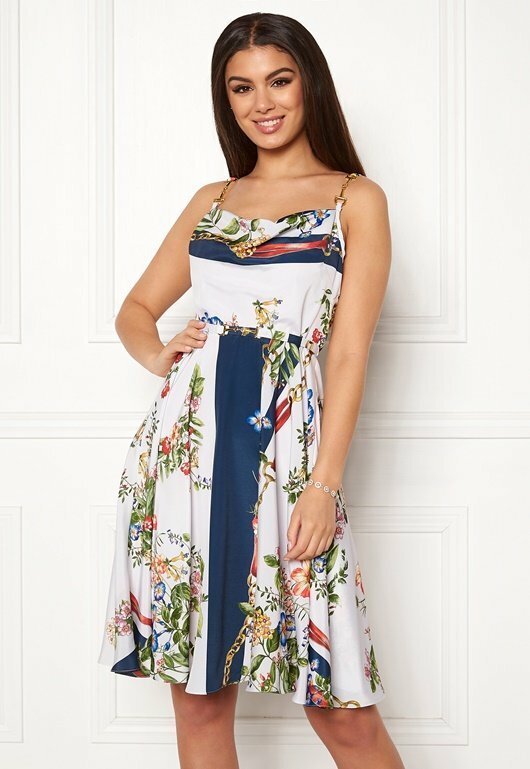 The dress has a lovely floral pattern and is perfect for festive occasions. - Nonstretch, woven quality - Narrow shoulder straps (non-adjustable) - Waterfall neckline - Gold color details - Tie waist (detachable) - Lined - Concealed back zipper Back length from shoulder 95 cm in size 36. The model is 173 cm tall and wears a size S. Dry clean only. For returns to be accepted, the dress must be returned with its original packaging and be free of marks.